Keeping high quality as our forte, we are engaged in manufacturing, exporting and supplying supreme quality Peanut Color Sorting Machine. Highly reckoned due to its smooth functioning and high production capacity, the offered machine is enormously used in food processing industry. For the manufacturing of this machine, our ingenious professionals use premium grade components and upgraded technology. 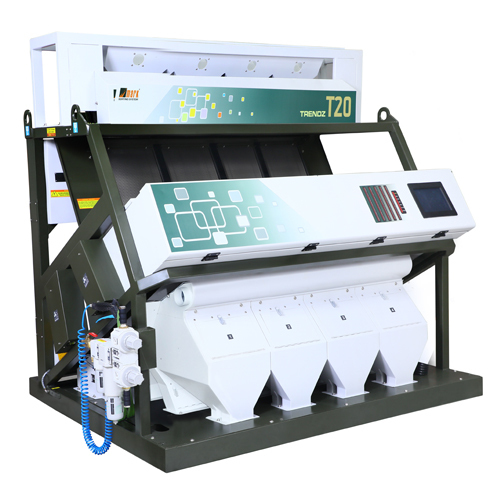 Further, this Peanut Color Sorting Machine can be purchased from us in varied technical specifications as per the application requirements of clients at reasonable rates.